A five-nation defence pact for which the peak ministerial council has met only 10 times in 46 years is a happy institution. Threats can’t be pressing and the military machinery must be running smoothly. Welcome to the durian pact, the Five Power Defence Arrangements  of Singapore, Malaysia, Australia, New Zealand and Britain. Durian is Southeast Asia’s pungent fruit (think rich, soft, juicy flesh with rotting aroma). 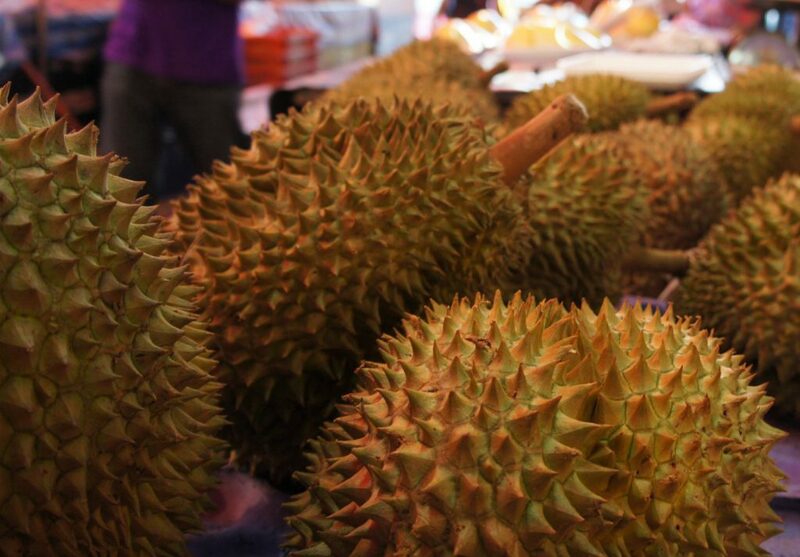 Although more aeronautical than aromatic, FPDA shares durian characteristics. Just as the strange smell doesn’t deter durian lovers, the odd nature  of FPDA doesn’t worry its members—the taste is what matters. The durian has a formidable husk, and the FPDA’s endurance means it’s preparing for 50th birthday celebrations. The fruit and pact are distinctly Southeast Asian, yet both draw adherents from beyond the region. As durian is an unusual fruit, so FPDA is strange but useful—and none of the five powers wants to give up the habit. terrorism poses a clear and present threat. Ministers agreed to ‘share intelligence to deal with terrorist threats against Malaysia and Singapore, and further measures to strengthen counter-terrorism activities’. Indonesia’s Konfrontasi  military campaign against Malaysia and Singapore from 1963 to 1966. FPDA was insurance against the return of a bellicose, aggressive Indonesia. Konfrontasi still has a place in the regional  memory  of the five powers. Singapore was ejected from Malaysia’s Federation in 1965 because of ‘deep political and economic differences  between the ruling parties of Singapore and Malaysia’. Britain’s ‘East of Suez’  withdrawal of forces from Malaysia and Singapore in 1971. Indonesia no longer pays much attention to the anti-Indonesia roots of this ‘integral’ bit of the region’s security architecture. Jakarta’s benign view was expressed by the former Defence Minister, Benny Murdani, when he said ‘if FPDA makes its members feel secure , then regional security is enhanced and Indonesia is happy’. Murdani was speaking at a Canberra conference on Australia’s 1994 Defence White Paper, and at the time I saw it as Jakarta offering an embrace to Oz and assurance to Singapore and Malaysia. Australia and New Zealand stepped up as Britain exited; FPDA still matters far more in Canberra than in does in London. Because the Brits departed in haste, FPDA had to be a practical bit of working kit from birth. The Integrated Air Defence System (IADS) HQ at Malaysia’s Butterworth Air Base started in September 1971, two months before the British Far East Command was terminated. Controlling the joint air defence of Singapore and Malaysia, IADS has always been commanded by an Australian RAAF officer. Neither Singapore nor Malaysia could allow the other to have titular command of their defence; the Australian at the top was the solution that keeps-on-keeping-on. For decades, Australian Defenceniks boasted that with IADS at its heart, FPDA was Southeast Asia’s only ‘multilateral security arrangement with an operational dimension ’. Not bad for Arrangements that merely oblige consultation. The RAAF thinks of Butterworth as a patch of Oz, especially for regular long range patrols. The bit-of-Oz sentiment has faded but still matters. As a journo, I went to Butterworth with Defence Minister Kim Beazley, to cover the 1988 withdrawal ceremony as Australia ended its basing of an RAAF Mirage fighter squadron in Malaysia . While Australia might rotate its new F/A-18 Hornets  through Butterworth, a squadron could no longer be based there, because of growing Malaysian sensitivities about sovereignty and the particular touchiness of Prime Minister Mahathir. As capabilities evolved and confidence grew, the IADS initials were restructured at the start of this century to become the Integrated Area Defence System . FPDA keeps its form but grows. FPDA is a one-way security guarantee offered by Australia, New Zealand and Britain to the two Southeast Asian members. By contrast, in its two security agreements with Indonesia (first under Paul Keating and then a larger framework treaty under John Howard) Australia got reciprocal pledges from Indonesia. The FPDA is all about Singapore and Malaysia. The pact takes its strength from its limitations. Singapore’s Defence Minister, Dr Ng Eng Hen, notes that for all its evolution, the pact keeps to its Singapore-Malaysia remit. When asked if FPDA had a role in the South China Sea, Dr Ng adopted his medical persona to say that FPDA wouldn’t have a specific or direct role: ‘in medicine we call it a “dose response”, so it does not’. FPDA’s dose purpose is to soothe dealings between Singapore and Malaysia. Writing often on FPDA’s  role  as a communication channel and security promise between Singapore and Malaysia, Tim Huxley from IISS Singapore judges relations between the two the ’best they have ever been ’. Granted, that relationship has often been deeply lousy. Today’s happy state owes something to the endurance and mutual enjoyment of the durian pact. Graeme Dobell is the ASPI journalist fellow. Image courtesy of Flickr user David Leo Veksler.